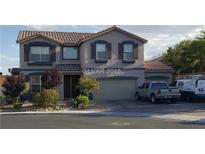 Below you can view all the homes for sale in the Northstar Estates subdivision located in North Las Vegas Nevada. 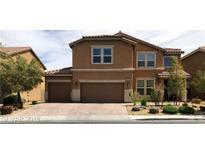 Listings in Northstar Estates are updated daily from data we receive from the Las Vegas multiple listing service. To learn more about any of these homes or to receive custom notifications when a new property is listed for sale in Northstar Estates, give us a call at 702-323-5963. Backyard has lovely stone work and a one of a kind built-in pig roaster, sitting area and grass to play, retractable awning and a shed! Must see! MLS#2087675. Signature Real Estate Group. Downstairs den can be used as 5th bdrm has walk-in closet MLS#2086527. Realty ONE Group, Inc.
3 car garage, and low HOA fees. Must see! MLS#2017596. Rock Realty Group. Grand and luxurious home featuring an open floor plan and upgrades throughout including maple cabinets, granite, faux wood blinds, ceiling fans, tile flooring and spotless plush carpet, high ceilings, open railing in the extravagant stairwell and foyer, a 3 car garage, paver driveway, lush and green backyard with upscale landscaping, a patio and a patio cover. MLS#1996535. Palacios Realty.